If you’re in or around Juno Beach, you’ll be happy to hear of a lice salon that handles this problem in just such a manner. At Lice Lifters Palm Beach Gardens, we have the tools, training and experience to get you and your children lice free in a single visit. Before we can do this, though, we need you to fill out the contact form on this page, so we can set up an appointment for you. 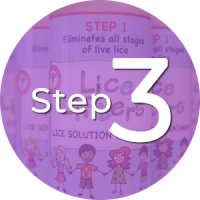 The secret to the effectiveness of our lice removal is the steps we follow in our process. First, we verify you have lice with a combing head check. Our certified technicians then use a comb specialized for removing lice and their eggs. These eggs are known as nits, and they’re attached to the base of hair follicles with a glue-like substance, which makes them hard to remove. Our lice technicians have the experience at getting this done thoroughly, however. We then put an all-natural killing agent on your hair and scalp that finishes off any lice that thought they avoided their demise by escaping the comb-out. This first step is what enables all the others to happen. If you’re in the Juno Beach area, we’re conveniently located for you and available 7 days a week. 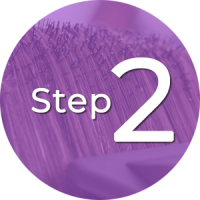 Our eagle-eyed technicians are pros at spotting lice and their nits and at using a specially designed comb to get them out of your hair and scalp. Our certified lice technicians then apply our all-natural, non-toxic killing solution to your hair and scalp that finishes off any lice remaining after the comb-out. When you look for a solution to any problem, the first thing you want to know is that it’s effective. Our lice removal process meets this criterion and then some. Our lice treatment is so good it’s frequently recommended by pediatricians and school nurses. It’s comforting to know that we don’t rest on our laurels when it comes to providing excellent service to our customers just because we have the best treatment for this problem in the Juno Beach area. 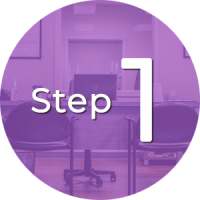 When you come through the door of our lice clinic, you’ll immediately know you’re in a family-friendly establishment with a staff that cares about handling this problem for you. We offer a safe and non-toxic treatment that’s effective and guaranteed. We go a step further than mobile services by using a liquid killing agent. Our killing agent is 99.9 percent effective at killing lice and their nits. We can treat all of your infested family members at once, which saves you time. You are all done after a single visit to our lice salon. A clean, professional business with certified technicians who care. Experienced use of specialized combs to look for and then remove lice and their nits. Movies, TV, snacks and a children’s play area to make your wait enjoyable. Being available 7 days a week means you come in at your convenience. We educate you on preventing this problem in the future.